As of July 16, 2018, Dr. Chris LoRang is now certified as an Injury Prevention Specialist (IPS) with Future Industrial Technologies (FIT). 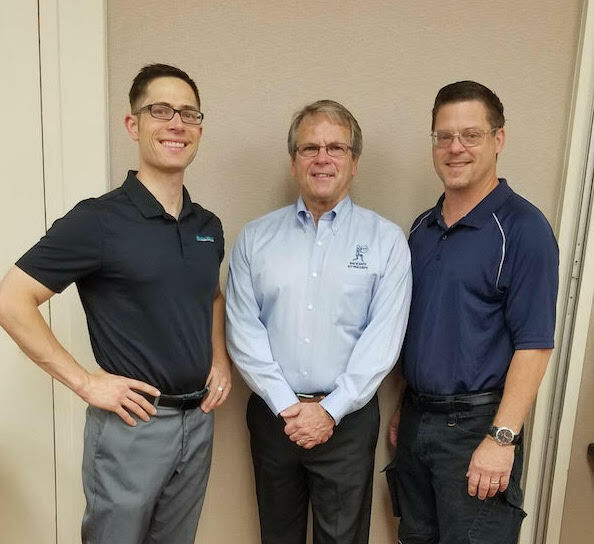 To add to his extensive knowledge of functional movements and preventative care, Dr. LoRang is now even more equipped to help businesses by conducting ergonomic assessments and coaching employees how to prevent injuries at work. He hopes to help reduce the economic burden of managing acute injuries, acute pain, chronic pain, and workers’ compensation injuries. That is why he is especially pleased to be collaborating with FIT in their proven methods of preventing injuries from the start. 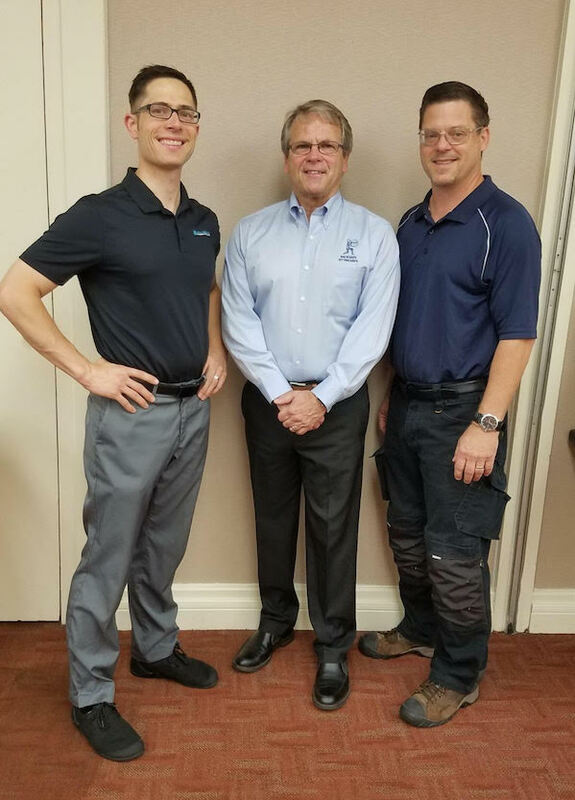 Dr. Chris LoRang with Future Industrial Technologies CEO, Dennis Downing, and Backsafe® and Sittingsafe® instructor, Jim Clapper, DC. Future Industrial Technologies (FIT) is known for helping organizations stop costly back injuries and other sprain/strains before they happen. 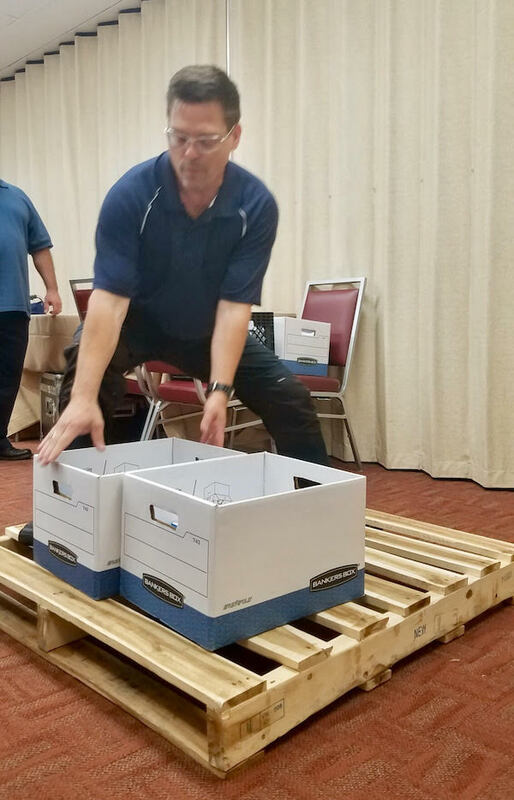 In addition to achieving remarkable success stories, the FIT Backsafe®, Sittingsafe®, and Bionomics™ methods of consultation and coaching empowers employees to stay well. 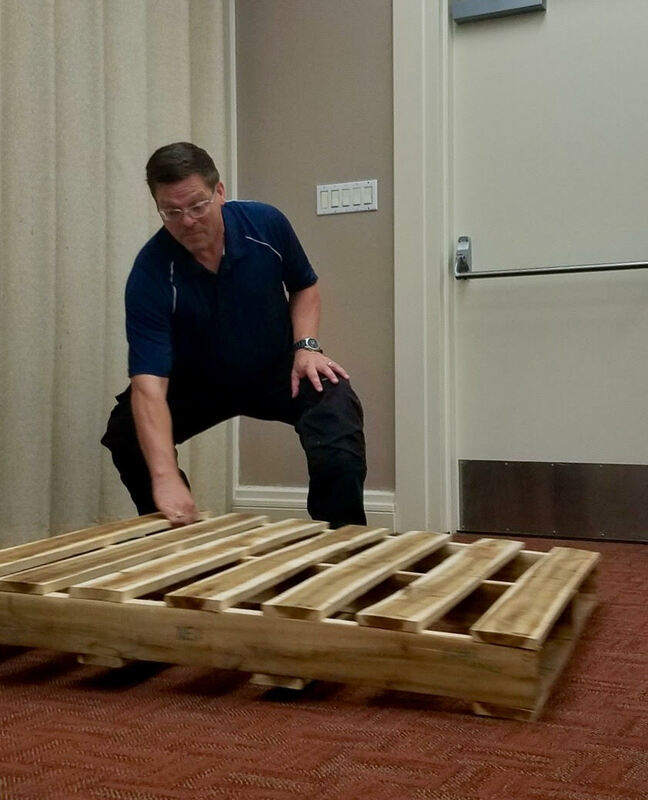 Bionomics™ is a new discovery in the field of injury prevention that uses a wellness approach to cutting workers’ comp costs. It combines biomechanics, ergonomics, stretching and the behavioral sciences to help employees change their physical behavior on and off the job. Bionomics has solved the age-old problem of employee buy-in. It is now easy to reduce costly injuries because employees become part of the solution, not the problem. 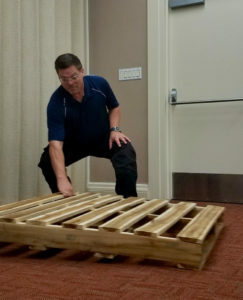 Injuries can happen during even the simplest movements – like picking up boxes, pallets, or traffic cones. It’s crucial to know techniques for moving and working in a safe way. The best time to address an injury is before it happens. 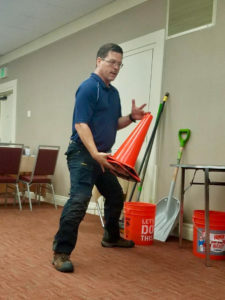 Learn more about how Dr. LoRang can help your organization prevent injuries before they happen. Email chris.lorang@capitalchirodsm.com or call 515-421-4018.